North Ranch welcomes you to join the daily activities at the park. Be sure to get an activities schedule when you check in to make sure you don’t miss out on any fun! ATV and off-road enthusiasts will enjoy the use of BLM land that is accessible right out the back gate of the North Ranch property! The area offers the hiker an abundance of hiking trails, whether out in the desert or taking the Vulture Mine Tour along with a hike to Vulture Peak. 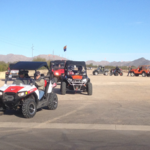 ATV enthusiasts will enjoy the use of BLM land that is accessible right out the back gate of the North Ranch property. The nearby town of Stanton offers gold panning; you must be a member of Lost Dutchman’s Mining Association (LDMA). There are trail-riding adventures for the horse lovers; check in the local phone book. Don’t forget the events at the Rodeo Grounds. 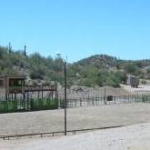 North Ranch is located 15 miles from the historic city of Wickenburg. For the musically inclined, whether participating or listening, check on the dates for the annual Bluegrass Festival. For the history buff, you will enjoy a stroll through the Desert Caballero Western Museum, the Gold Nugget Art Museum, and a walking tour of the old Western town (maps available at the Chamber of Commerce). 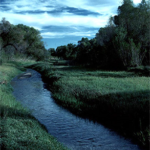 The Hassayampa River Preserve is a special piece of Arizona’s natural environment, so you won’t want to miss out on its beauty. After your day of exploring, Wickenburg offers many fine restaurants for your pleasure. There are two large grocery stores for shopping and many fine Western gift shops. Metropolitan Phoenix and Prescott are each about 50 miles away. Each offers shopping ’til you drop and fine-dining restaurants. The Prescott Square is an historic treasure. Check in the office for directions to Prescott via the Skull Valley route. 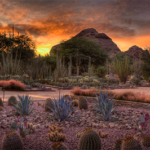 The Desert Botanical Garden in Phoenix offers the world’s finest collection of plants, featuring over 50,000 desert plants. View over 18,000 works of art from all around the world at the Phoenix Art Museum. There is a wide variety of outdoor activities such as the Phoenix Zoo and Hot Air Balloon Expeditions. When the day is done, you can enjoy a game of horseshoes, play cards in the clubhouse, or pick a rocking chair on the porch surrounding the clubhouse. Enjoy the awesome sunsets and distant mountain views while you chat with your fellow campers.